So, Your Bestie is Grieving. How Can you Help Them? 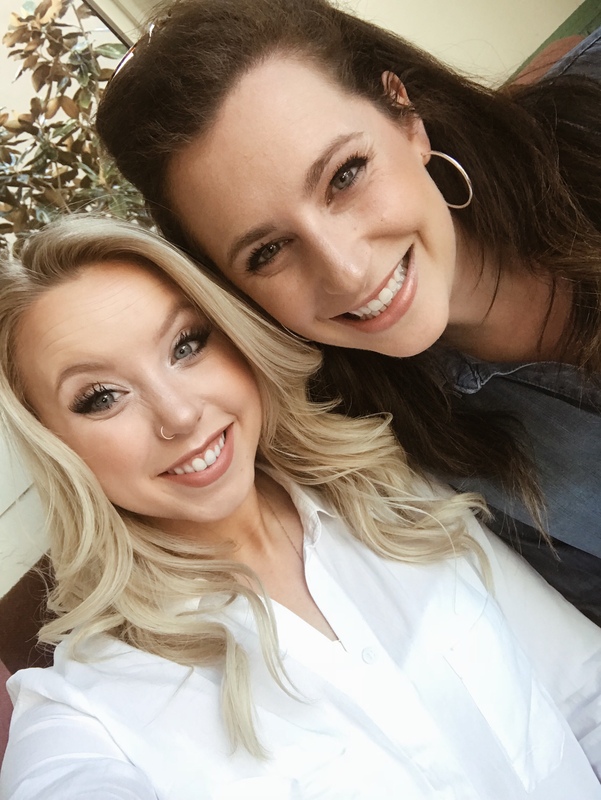 Last week, my best friend and I went to one of Nashville’s cutest little burger spots for a late lunch. It was a random tuesday, and we sat on our little repurposed vintage schoolhouse chairs and drank summer ales from mason jars among the exposed brick and twinkle lights. The perfect little “treat yoself” summer afternoon in Nashville- except for the reason behind her visit. Molly (dat’s ma bestie) drove the 5 hours up from Arkansas the day after learning that, well, I hadn’t been doing so hot. And for the first time, I had actually let people know. So she quite literally sped to be at my side, and I am one lucky SOB. Now that’s an amazing friend for ya. While we were at this adorable restaurant, Mol admitted that she’s learned a lot from being my friend these past few years. Then she told me to write a post about it. Your wish is my command, Ms. Mol! Molly already had some advantages in handling me since I started grieving, because she’s so deeply compassionate. I deliberately use the word compassionate, rather than empathetic. I think we tend to deem empathy to be the most important factor in helping others, but I think that distinction actually belongs to compassion. Through the years, Molly has always shown up for me, and others, ready to care as deeply as she possibly can without any need to be something other than her most authentic self. She shows up ready to listen and learn. She proves that you don’t need to take on someone else’s problems in order to be in the trenches with them. I’m not saying you have to do some crazy, big gesture to help your friend. It’s all in your attitude and just showing those who are grieving that they don’t have to go it alone. I suppose this post has a dual message- one for the grieving, and one for our friends. Let’s start with the friends, shall we? Y’all have been patient enough. First of all, thank you. To those of you who have stuck by your friends when they are hurting so deeply, you have gifted them with unconditional love. The most precious relationships we have are with those people who make us feel we can trustingly reveal our most vulnerable selves… and then let us turn right around and go back to having fun! I promise you, yours is not an easy job, riding that rollercoaster. When I have been in your shoes, even after losing my own mom and experiencing grief for myself, I don’t always know what to say to someone else who is grieving. Isn’t that crazy? I of all people should have the right words. But I don’t. Because I know better than anyone that nothing can fix it. What I do always say is that I know all of our situations are different. Even though I’ve known loss, I won’t pretend to understand someone else’s version of it. I don’t want to devalue their experience like that. But let’s turn to our expert, shall we? Molly shared with me a piece of advice she gives others with grieving friends: Never hesitate to bring up the grief. Let’s be honest, it’s on our minds constantly. It’s not as if bringing it up will be a painful reminder. It can’t be, because it was never forgotten in the first place. Instead, acknowledge the elephant in the room. Make space for it. I had another friend who texted me every single 19th of the month (the day she left us) for the first year after my mom died. I am not always the most thoughtful person- so in my opinion, he is a wonder. He didn’t make it an elaborate, long winded message- and he didn’t need to. Just receiving a “Hey, I love you” made it that much easier to make it through my day knowing someone cared. The most important thing to realize is that you don’t have to pull out all the stops. Dropping everything to be at their side when things get really bad? Incredible. Remembering to send messages on significant days? Incredible. Care packages that arrive out of the blue? Incredible. But you know what’s most incredible? The motivation behind it. The impulse to love on your people. Your gesture does not have to be fancy. 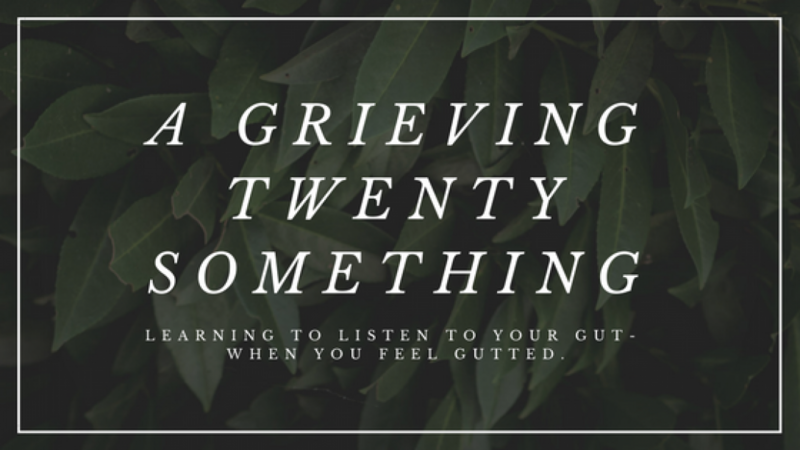 Now to my fellow grieving twenty somethings, I have a few helpful hints for how to help our friends help us. First, I want to remind you first that your friends are literal superstars for hanging in there with you. This is the time in our lives where we were supposed to be having fun and laughing through our learning moments. Instead, we’ve become a lot more complicated and sometimes a bit of a downer. Our dearest friends will never resent us for this. Ever. So don’t be afraid to be honest about your feelings and thoughts. But also thank these people who have stuck around for you. Thank them often. While we hope that people will stay with us through thick and thin, it isn’t always a given. I also want us all to remember that we have to teach people how to treat us. I don’t always do a good job of this. In fact, I do a terrible job of this. I dig me heels and, classic Jadi, become too stubborn to tell anyone what I need. Or that I’m even hurting at all, hoping they could just figure it out from hints so subtle not even a therapist could notice them. And yes. I have managed to fool therapists like this, so like, I know that I’m good. Our best friends might be a rockstars, but they can’t handle the entire burden of our daily sadness and anxiety and emotional whirlwind. We need more than just one go-to friend. Brainstorm a list of all the people you can reach out to if need-be. We need to remember that our friends have their own lives worries and, while they are fantastic people to lean on, we cannot ask them to outright carry us. Give yourself a team. I think the most difficult thing about helping a friend through grief must be the feeling of helplessness, because nothing can fix it. No perfectly worded piece of advice is going to bring back your loved-one. So be honest. Tell them that you totally understand that. Mostly we just need someone to listen and make us feel heard, right? So give them the permission to do just that, without the pressure of having to come up with a response. Acknowledge the helplessness of the situation. Grief, at times, is just the act of processing the same information over, and over, and over again- they aren’t ever coming back. All we really need is someone to process with us. So go love on your friends. No matter how high or how low they’re feeling, ask them how they’re doing. And know that I am a friend to you all. These are just a few members of my incredible, awesome, amazing support system! I couldn’t be whole without them.